Home care can be defined as any kind of support that enables you to live comfortably and as independently as possible in your own home. We understand that your independence is important to you. We aim to help you to maintain your independence by encouraging and supporting you where and how it will help most. Why choose ADVANCED CARE YORKSHIRE? Through over 75 years experience in management and the caring fields, our professional management team has built a reputation for delivering a high quality service. This gives you the confidence that you are in responsible and capable hands. All our Personal Assistants have access to help and advice 24 hours a day, seven days a week. They are supported by fully qualified nursing staff and managers. Advanced Care hold the unprecedented accolade in that three of our senior management team hold a Registered Managers award. Advanced Care is a family business, with the best of both worlds ‘Old fashioned family values’ but also at the forefront of embracing new ideas and development which means we are continually evolving and implementing change before Government legislation deems it necessary. This we believe sets us aside from some other organisations. Click here for Company Statement of purpose, ethos, and standards. SHEENA KURRING Dip RSA – Director, Registered Manager and Principal of the new learning centre. 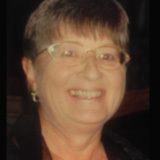 Sheena has over 30 years experience in the Health and Social Care industry spanning life as a carer, working in a variety of care and nursing environments, progressing to owning her own care company from 2000 to 2008, working as a Standards and training officer during that time. This then dove tailed with a training Company teaching back to the Health Care sector which was extremely successful and taught all over the country for the largest Care provider in Britain at that point in time, this culminated in a win at the regional finals of the National training awards. From there Sheena ran a charity specialising in Learning disabilities then built a domiciliary care Company for an ex colleague, as that came to a conclusion Sheena, her father John and mother Anne built Advanced Care Yorkshire. Sheena holds a Registered Managers award. 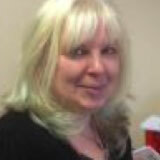 Sheena is appointed as The Company’s Registered Manager registered with the CQC (Care Quality Commission). Holding a Registered Managers award qualifies her to do this, Sheena also manages Human Resources and is tasked with the on-going development of the training division. She brings a depth of caring and management skill to our strong team, is a hands on Manager and is well known to all the companies Service Users, their families and Personal Assistants. Sheena has strong links with a variety of organisations from Local authorities, to Skills for Care our sector skills council, encompassing into work programs, Local colleges, jobs centres, and many local employers. Sheena sits as an ambassador for NHS, NTA National Training awards, and sits on a panel accrediting units and qualifications, she has also sat on a local learning disability organisation’s board and is currently working towards being an I CARE ambassador. 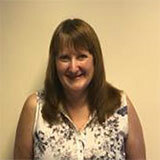 Sheena was born in Harrogate moving to the East Riding at an early age. Inspired by her parents work ethics and her first experience of caring at 14, work experience combined her love of horses and children when she was sent to teach riding to disabled youngster’s, Sheena then did this voluntarily on an evening and weekend for the following couple of years, when her mum would look for her Sheena was either in the stables or exercising the family dogs (Irish Setters) of which she still owns and shows 3 to this day. Sheena has brought up a family of 5 single handed, and has grandchildren in which she has instilled her own work ethics, and is seen in the fact this is a family company. Sheena is currently teaching both our Personal Assistants and external staff for a variety of other companies, using her experiences to enhance the courses and make them come alive, she is enthusiastic and dynamic in her approach, teaching theory, practical skills and knowledge, effortlessly crossing between the aspects to ensure full participation for all of the candidates in her classes ensuring no one gets the chance to be bored. All of her classes have the right mix of both seriousness and fun to ensure the students gain knowledge but also enjoy what they are learning. Over the years John has studied and achieved accountancy courses, I.T courses, Business courses, health and safety courses and operational research courses. The Company’s Nominated individual registered with the CQC (Care Quality Commission). 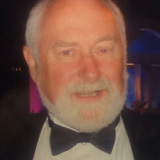 John also jointly fulfils the role of Company Secretary. John (who also doubles as Sheena’s dad) works on the business planning, also dealing with the Banks and the finance aspect of the business, for which he is a strong lead, co-ordinates the team and orchestrates Advanced Care Yorkshires continued growth and developement. Anne is appointed as Manager of finance; (On her rare days off Anne also doubles as Sheena’s mum) Anne has an extensive background in Banking having worked with some large organisations including Yorkshire Bank heading up credit control and The Mercantile Credit company. In the early days Anne started her extensive career at British Aerospace/ Blackburn’s progressing on to work for International Harvester’s in Doncaster, then to Vickers instruments in York starting up companies for colleagues along the way. Anne is responsible for payroll and invoicing and is supported by Peter Clarke our company accountant/auditor & Liz Turpin who is our bookkeeper. Debbie has been in Health and Social Care for nearly 30 years, taking on the roles of Supporting Registered Manager and Area Manager Debbie’s responsibilities include running both our large Haltemprice and Beverley teams which spans the East Riding and the North Lincolnshire team. Debbie alongside of Sheena and Becky are tasked with the growth and expansion of the Care division. Debbie brings a wealth of experience also following our company ethos of a ‘hands on manager’, and has worked previously in a variety of Care settings including residential and nursing homes, also homecare having been an Area Officer for the original Advanced Care and then setting up a team for a large company covering the East Riding. An experienced and enthusiastic leader, Debbie is a strong advocate of Person centred care and she champions quality in every aspect having recently gained her Dignity Champion’s status, which she then utilises to lead 'by example'. Debbie has a can do attitude taking on many challenges and handling them with efficiency and diplomacy. Debbie is extremely well qualified and holds the following qualifications. And is currently working towards her Level 5 in Management supported by Brooks and Kirk Healthcare and Management Training Consultants BREAKING NEWS DEBBIE COMPLETED 15TH December 2016 we are so proud of her. Debbie has brought up her family of 2 (and has grandchildren) alongside of her working career, and is also mum to 3 dogs and an honorary family member. Sara has been with Advanced Care since its reincarnation in 2011, Sara started out as a Personal Assistant delivering Care to our Service Users and progressed on to photography for our Service Users files to ultimately being responsible for typing up Service Users paperwork, supporting the Managers, gaining along the way her NVQ 2 in Health and Social Care, progressing to a Business Admin Level 2 to gain the qualifications and experience needed for her position, She has now progressed further going from administration support to Company Trainer achieving along the way her teaching qualifications, completing her CPD for the year by taking a course in childcare, as well as studying her Diploma at Level 3 in Health and social care which is nearly completed , her next aim is to gain her Assessors award. 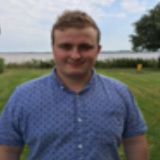 Liam joined us mid 2016, and is very comfortable and capable in his job role, Liam very quickly settled in and found his niche in recruitment, which he excels at, from initial enquiry calls to arranging interviews Liam very quickly puts any potential employee at ease, answering questions and explaining both job role and expectations, from placing advertisements to attending and arranging recruitment fairs, to interviewing and gathering supporting paperwork, Liam makes the process seamless, Liam has just started his Level 2 Administration qualification and comes from a management background in a large prestigious national company. ADVANCED CARE YORKSHIRE is a professional, competent and confidential service, delivered with maximum support through co-ordinated teamwork. A continuous service with no breaks or avoidable delays. Information if a member of staff is to be late or due to unavoidable circumstances changed. A member of staff matched closely to your requirements, and an individual team bespoke to your care package, i.e. a regular team of 2 for a small care package and a regular team of 5/6 for a large care package this then ensures continuity. Care, with the maximum input from yourself planned for your needs. Staff whose training is continually monitored and upgraded. Our commitment to Independence, Privacy, Dignity, Respect, Choice, Security and Fulfillment. Miss Sheena Kurring is appointed as The Company’s Registered Manager registered with the CQC (Care Quality Commission). Sheena also manages Human Resources. 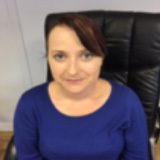 She brings a depth of caring and management skill to our strong team, having operated as a Manager in the industry for many years, running companies in Domiciliary Care and training for the industry also a Learning disabilities Charity. Sheena has recently branched out and is now the Principal for the newly crowned Learning centre. Mrs. Anne Wood, Anne is appointed as Manager of finance; Anne has an extensive background in Banking. Our strong management team now comprises of Debbie Nicholls who is Sheena’s Co Registered Manager, Becky Ann Gillings who is at present an Area Manager and training towards her Registered Managers Award, Amanda Bazley who is our lead IV, IQA and assessor, Sara Hawley who has progressed on to be our trainer, Liam Duthie who joined us as an Admin apprentice and who now manages recruitment and our newest addition Emma Hardy who has joined the training arm as our Training apprentice. Between them the Senior Management team have completed over 75 years in management roles and over 35 years of practical caring. The skills and qualifications of our Management team are continually being extended; currently our staff are undertaking the following courses. Trained to deliver courses in Health and Safety, Food Hygiene, and First Aid amongst many others. This Includes specialised training such as Dementia Care, Epilepsy and Diabetes. Advanced Care was started with the aim of providing support to enable people to maintain independence which then enables them to remain in their own homes. We at Advanced Care believe in a flexible and professionally run service, which is tailored to individual needs. We encourage our Service Users to exercise their rights and choices as individual people and ensure they are afforded Dignity, respect, privacy and compassion at all times. We also encourage the Service Users and relatives to actively participate in all decision making relevant to their own personally tailored package of care. Advanced Care continually monitor service provision to ensure quality of care. This is achieved by all Service Users having an individualised Person Centre Support plan, which clearly documents and defines personal needs and preferences. We hold regular Service User reviews with the participation of all relevant multi Company workers, Service Users, their families and friends so we can review Service User’s requirements and adjust the Person Centre Support plan and provision of services accordingly. Our quality of service provision is also reviewed and audited on a regular basis. Advanced Care aims to provide care and support for people who cannot wholly look after themselves. We provide our service in your own home, at times convenient to you, and in ways you find most agreeable. We have sound principles for the way we run our service. Central to these is our belief that the rights of Service Users are paramount. The aim of good quality domiciliary care must always be to promote a way of life for Service Users which permits them to enjoy, to the greatest possible extent, their rights as individual human beings. The following rights are fundamental to our Company’s work.